I’ll never forget a conversation I had with the CEO of a listed corporation about how his company could engage with the world of startups. His reply, from the far end of his long, glossy boardroom table, was that he didn’t want some “dagga-smoking Capetonian in slipslops” in his company. It was a joke of course, but he was sort-of-serious too. Corporates, who are watching the startup story unfold before their eyes, know that these agile, innovative little companies may be their future collaborators or competitors. Corporates also know that startups can be very useful to them. Large companies, because of their legacy and risk-averse structures, sometimes find it difficult to innovate. It’s just a fact of life: It takes a long time to turn around an oil tanker, but a plucky dinghy will easily manouvre. I am not saying corporates don’t innovate, they just find it hard to – and startups have the benefit of being able to risk more with little to lose. A corporate engagement with a startup doesn’t only mean acquisition. There are many ways large companies engage with the entrepreneur ecosystem. There is much to learn from either side. From corporates, startups can learn the art of scaling massively. Both can learn new methodologies, tools and innovations from each. Corporates can create accelerator or incubator programmes, which involve supporting early-stage startups through mentorship, networks, training, office space, and sometimes capital. This allows corporates to stay close to emerging trends and establish a funnel for future opportunities. Corporates can also test out a startup by becoming a customer or entering into a joint venture. They could sponsor or hold their own startup events such as pitching or hackathons competitions. 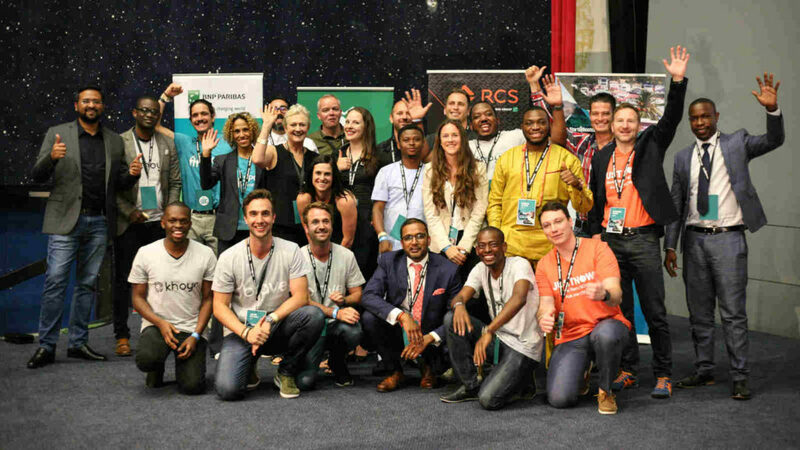 They could sponsor startup networking organisations, examples of which include FNB’s sponsorship of Cape Town’s tech startup initiative Silicon Cape. A large company could also provide research and development grants to universities or specific entrepreneur courses, with strings or no strings attached. A business may insist it has first option to invest in ideas that result from that funding. As a start, the company could do it all on their own and hire a mid-career entrepreneur as an “Entrepreneur-in-Residence” (EIR) to foster creativity, entrepreneurial thinking and bring new startup networks and thinking to the organisation. A corporate could also encourage “intrapreneurship”, which may involve creating innovation hubs where entrepreneurially-minded employees are given freedom to explore new ideas and ventures without risk to the mothership. Intrapreneurs may be incentivised as if they were in a startup and be awarded or allowed to buy equity. There are already many examples of corporates getting involved with startups, some with commercial aims and some with developmental aims. Mastercard Foundation runs a programme to enable entrepreneurs and small businesses to expand through access to financial services. Microsoft’s 4Afrika claims that since 2013, it has reached over 1.7 million startups, bringing over half a million of them online to reach new markets and grow their businesses. The long-running SAB Entrepreneurship Programme is for early stage entrepreneurs, youth entrepreneurs, and brand new entrants to the business world. The recently-launched Red Bull Amaphiko Academy is for social innovators who believe they can bring about positive change through entrepreneurship. On the commercial side, the French telecoms group, via Orange Digital Ventures Africa, has committed €50-million to invest in African startups. Also from France, La French Tech is a community based in Cape Town gathering entrepreneurs, execs, investors, engineers and public leaders, seeing itself as a bridge between Silicon Cape and the French tech scene. On the healthcare and life science sector, Merck’s Africa Accelerator helps promising startups become ready for market. Investec are currently looking to invest in “three or four” early-stage SA fintech startups via their Emerging Companies division. Standard Bank launched an incubator in 2015 to help new businesses with “market access and prototyping support”, although it has been rather quiet. Separately the bank announced it would assist 100 African tech start-ups with professional advice and R500 000 in cash. The bank also said it would be providing young entrepreneurs with funding equal to “a year’s salary”. Consulting company, EY, hosts a prestigious Entrepreneur of the Year award and provides support to local entrepreneur networking organisation Endeavor. Thomson Reuters Labs has a Cape Town chapter designed to promote innovation and co-creation with startup partners. Webber Wentzel’s Ignite is an incubator giving startups R100 000 in legal services, mentoring and training focused on legal knowledge and skills. This list is far from comprehensive, and there are many other, less publicised, startup programmes being run by corporates. One thing is clear however — slipslops, dagga and other startup stereotypes aside — corporates are jumping aboard the entrepreneur train for a piece of the action. Matthew Buckland is the founder of Burn Media Group, which publishes Ventureburn.com. and EIR at the Media Development Investment Fund (MDIF). This column was first published in Business Day. See the original version here.